Three bodies wrapped in white plastic are taken from the hospital in Beit Lahiya to be transported to the Sulaiman family home. 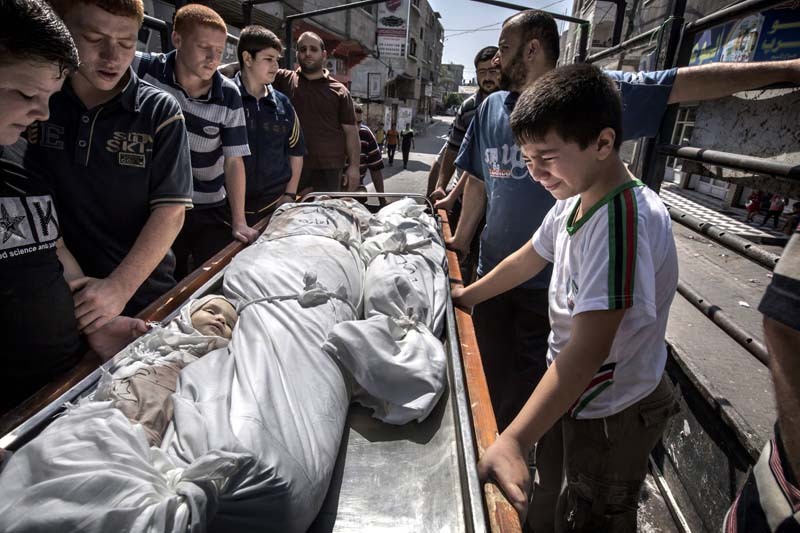 Together with friends and cousins nine year old Moneim grieves his sisters and his mother Nihad that died when they visited their relatives and an Israeli Jet fired a missile. Moneims sister Baráa was seven years old and Halima eighteen months.